An original plot inspired by the beloved Tom Clancy character, Jack Ryan: Shadow Recruit is a pseudo-prequel reboot of the franchise, giving Ryan different motivations with slight changes to his history. Starring Chris Pine, Kevin Costner and Keira Knightley, director Kenneth Branagh, who also co-stars as the protagonist, balances the suspense of intelligence gathering with typical action thrills, but the movie ultimately doesn't live up to the expectations set by previous installments. As part of the ten-disc Jack Ryan film series collection from Paramount, the espionage thriller fights dangerous covert missions on 4K Ultra HD with an excellent Dolby Vision presentation and a fantastic DTS-HD MA soundtrack. Porting over the same set of supplements as the Blu-ray, the overall package is Recommended for Jack Ryan fans and UHD enthusiasts. Arguably, the most interesting thing about Jack Ryan: Shadow Recruit, the fifth installment in the loosely-related Jack Ryan film series, is that the plot has no source material on which it was based, unlike its predecessors. Adam Cozad and David Koepp's script is an entirely original story inspired by various aspects of the beloved character's history created by Tom Clancy, and the plot, another pseudo-prequel reboot similar to The Sum of all Fears, takes fans all the way back to the beginning while also retroactively establishing an alternate timeline. 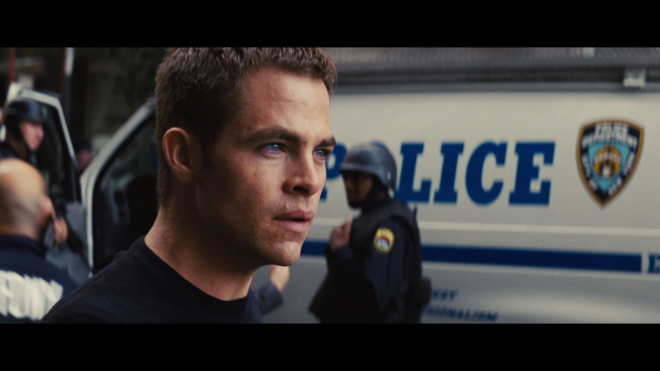 In this continuity, the events of the 9/11 attacks motivate Ryan (Chris Pine) to drop out of college and join the marines where he injures his back in a helicopter accident. During his recovery, he meets medical student and future wife, Cathy (Keira Knightley), which the film tries to pass off as a meet-cute nudge for the fanbase but glosses it over much too quickly to be taken seriously. 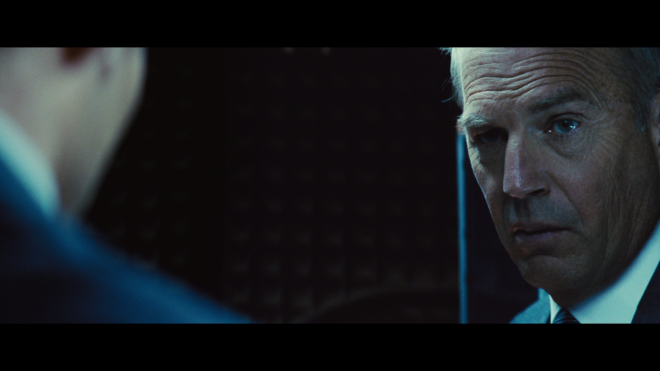 In fact, the entire first quarter of the movie, where he's recruited by a needlessly secretive CIA agent (Kevin Costner), feels like a superfluous footnote that adds little impact or value. The story doesn't really start picking up until Ryan, now working on Wall Street but covertly for the CIA, notices suspicious financial transactions connected to Russian magnate Viktor Cherevin (Kenneth Branagh). This aspect feels more in line with the Ryan fans know and love, a perceptively calculating analyst who sees the threat where others miss it entirely, which is also part of the series' charm because it feels grounded in reality. 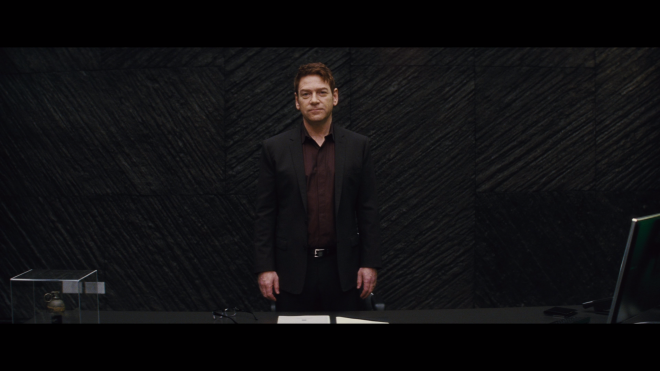 Director Kenneth Branagh does decently well in balancing this with the more action-oriented parts typically expected of such espionage thrillers — the final quarter, in particular, is an exceptionally suspenseful race to stop a car bomb. But at the same time, other action sequences feel out of place, especially given Ryan remains an inexperienced agent now suddenly capable of subduing a very large hitman. And while we're at it, the dinner scene with Cherevin is, frankly, a boringly contrived scene where Ryan is conveniently the only capable agent to copy files onto a flash drive. Still, overlooking its drawbacks, Branagh delivers good entertainment that adds to the Ryanverse. 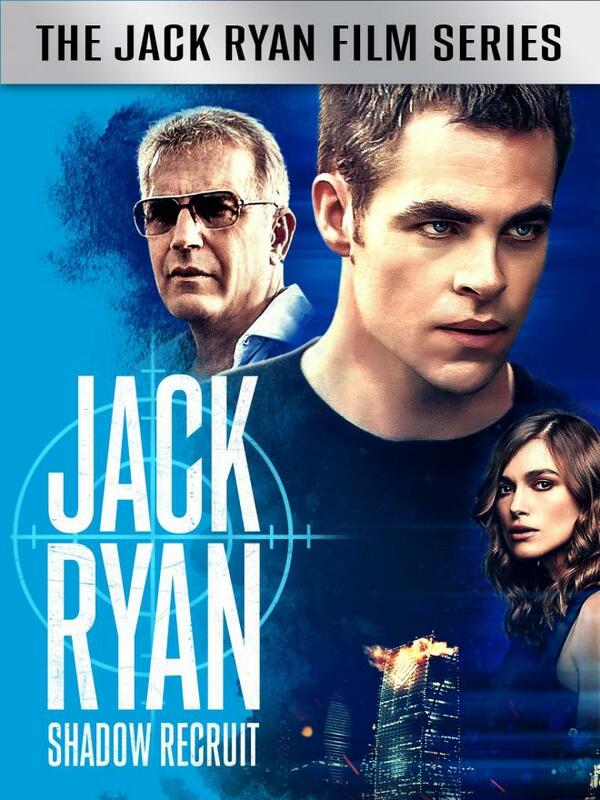 Paramount Home Entertainment brings Jack Ryan: Shadow Recruit to 4K Ultra HD Blu-ray as part of the ten-disc combo box set dubbed Jack Ryan: 5-Film Collection. As of this writing, there are no plans for a standalone package. The pack also includes a flyer with a Digital Copy code, which can be redeemed via ParamountMovies.com, allowing owners to watch a 1080p HD copy with Dolby Digital Audio. However, VUDU users can unlock 4K streaming rights with Dolby Vision and Dolby Digital Plus 5.1 audio. Five dual-layered UHD66 discs are accompanied by another five Region-Free BD50 discs spread across three center spindles and on the opposing panels of a thicker-than-normal black eco-vortex case with glossy slipcover. At startup, viewers are taken directly to a static screen with the usual selection along the bottom and music playing in the background. Jack Ryan is rebooted and recruited on Ultra HD with an excellent, first-class HEVC H.265 encode that offers several notable upgrades over the Blu-ray while also being the best-looking of the lot. Shot on a combination of traditional 35mm film and the RED Epic digital camera capable of 5K resolution, all of which was later mastered to a 2K digital intermediate, the 4K transfer shows sharp, fine lines along the buildings and cars. Even from a distance, viewers can plainly make out distinguishing features within the unique architectural design. Individual hairs, the threading in the fabric of clothing and the tiny objects decorating the offices and hotel rooms are plainly visible and detailed, and faces reveal pores, wrinkles and the most negligible blemishes, especially during close-ups. However, a good amount of softer, blurry moments interrupt the best aspects while several instances of mild aliasing along the sharpest edges tend to distract, and the thin grain structure can occasionally appear a tad noisy in some areas. Still, one of the better qualities of this 2160p video is the improved brightness levels, and since a majority of the movie takes place at night, this is a big bonus indeed. Inky, luxurious blacks display outstanding gradational variations between the various shades, showing small differences from one suit to the next or even around the collar and shirt of the same outfit. Rich, velvety shadows bathe the 2.35:1 image with a lovely cinematic quality and dimensionality while laying bare small details and objects within the darkest corners, and the several shots of the city skyline have a striking picturesque beauty to them. Added to that, overall contrast doesn't seem to have made as big of a jump, looking almost on par with the 1080p version, but whites are noticeably brighter and more luminous, which very likely has much to do with Haris Zambarloukos's stylized cinematography. Nevertheless, specular highlights provide a dazzling, radiant intensity to the brightest areas and a glowing, realistic shimmer to various metallic edges without sacrificing the finest details. Like the four previous recruits, the fifth installment to the Ryanverse infiltrates the UHD offices with the same soundtrack enjoyed on the Blu-ray, though this time it's a DTS-HD MA 7.1 mix rather than a TrueHD track.